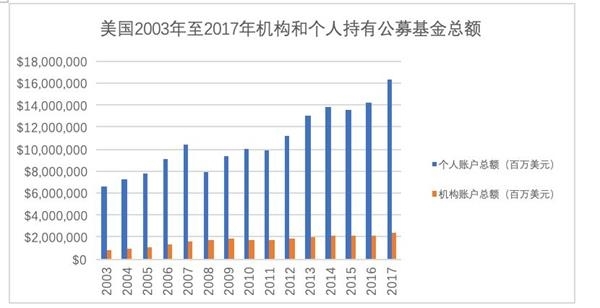 Excluded in the past 11 years (end of 2007 - end of 2018)Monetary FundAfter holding by institutional investorsfundThe market value has increased by nearly 3 trillion yuan. In terms of the market share, the proportion of individual investors fell from 87.64% to 35.13% in 11 years, and the proportion of institutional investors rose from 12.36% to 64.87%. One step back, in the traditional sense, to the peopleFinancial managementWhy is there such a big contrast in the public funds? As of December 31, 2018, removedcurrencyAfter the fund, counting other types of funds, individual investors held 181.049 billion yuan, accounting for 35.13%, and institutional investors held 338.943 billion yuan, accounting for 64.87%. 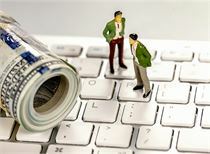 Public funds have always been held by individual investors and are also in line with the development of public funds. But in recent years, institutional investors have held large amounts of public funds. 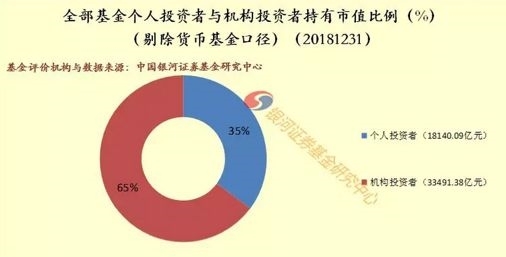 Galaxy SecuritiesFund researchAccording to the latest data from the center, as of December 31, 2018, all public funds were counted, and individual and institutional investors held a total of 1,725.203 billion yuan. 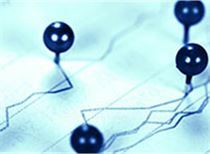 Among them, individual investors held a fund market value of 651.813 billion yuan, accounting for 51.12%; institutional investors held 62,337.17 billion yuan, accounting for 48.88%. 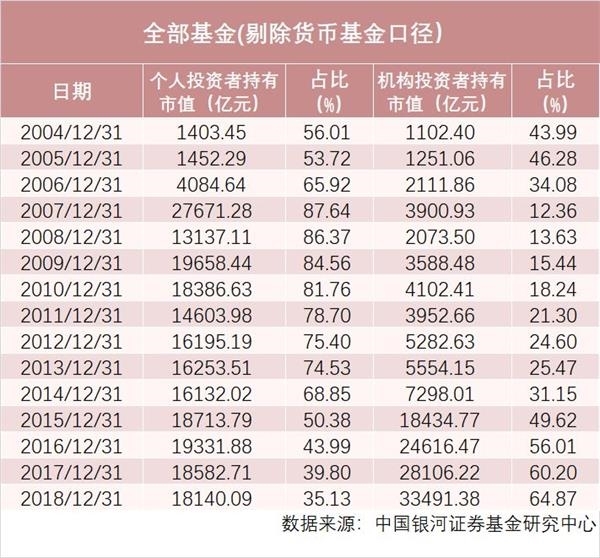 After excluding the money market fund, the investors held a total market value of 516.137 billion yuan.Among them, individuals were 184.009 billion yuan, accounting for 35.13%;Institutions 334.938 billion yuan, accounting for 64.87%. 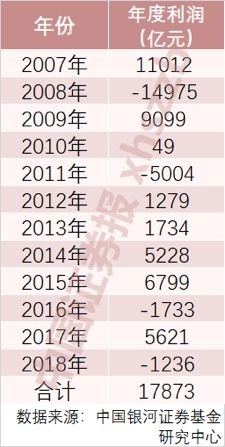 In fact, based on the elimination of money market fund caliber, between 2007 and 2018,Individual investors fell from the highest point of 2,772.562 billion yuan to 1,014.09 billion yuan, a decrease of 958.6 billion yuan.However, during the same period, institutional investors increased from 391.983 billion yuan to 334.938 billion yuan, an increase of 295.157 billion yuan. 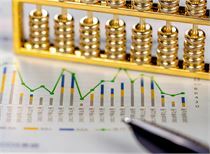 Jia Zhi, head of the Tianxiang Investment Fund Evaluation Center, said that public funds are relatively profitable and are asset allocation tools. but,Ordinary investors do not have the ability to allocate assets. Usually, equity public funds need to accumulate high profits, and they will be attracted by the general profit-making effect.. Unfortunately, that time is usually a high point. 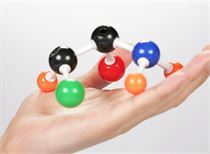 forfund companyIn other words, the way out is as follows: either seriously make tools and clear styles; or work on FOF products to provide investors with products with more stable returns and less product fluctuations. In the future,Bank financingCompany investmentDiversified directions, fixed products have traditional advantages, is the biggest competitor of public funds. However, Jia Zhi believes that in the long run, the Chinese people will give money to the fund, just like the American people. Specific to all types of funds, as of December 31, 2018,Equity fundIn respect, individual investors held 415.987 billion yuan, accounting for 52.93%; institutional investors held 369.948 billion yuan, accounting for 47.07%. In terms of hybrid funds, individual investors held 1,097.679 billion yuan, accounting for 73.16%; institutional investors held 396.031 billion yuan, accounting for 26.84%. In terms of bond funds, individual investors held 251.376 billion yuan, accounting for 8.96%; institutional investors held 25,532.62 billion yuan, accounting for 91.04%. 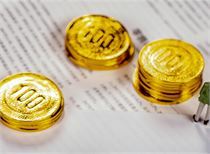 In terms of money funds, individual investors held 47,043.07 billion yuan, accounting for 61.99%; institutional investors held 284,458 million yuan, accounting for 38.01%. 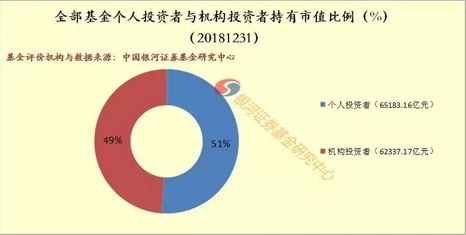 Although individual investors have fled nearly $1 trillion in public funds in the past 11 years, in fact, the Galaxy Securities Fund Research Center data shows thatIn the past 11 years, public funds have created investment income of 1.79 trillion yuan for investors..
On the whole, as a professional asset management institution, public funds have obvious advantages in creating long-term investment value. 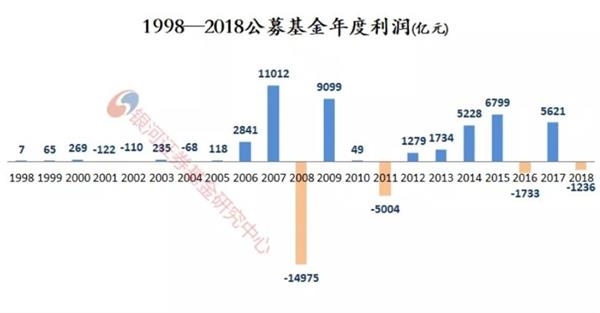 If statistics are collected from 1998, the total accumulated profits of public fund products in the 21 years will reach 211.19 billion yuan.This also means that during this period, the public fund will earn a total of 211.19 billion yuan for investors, with an average annual income of 100.5 billion yuan.. 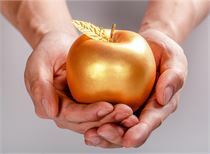 In terms of sub-fund types, in the 21 years, the hybrid fund contributed half of the profits, totaling 190.344 billion yuan; the total profit of the money market fund reached 872.674 billion yuan; the total profit of the bond fund was 324.685 billion yuan;QDIIThe total profit of the fund was -14.745 billion yuan and -303.16 billion yuan respectively; the total profit of other funds was 1.597 billion yuan. Overseas experience:Public funds become residents' "good heart"
Compared with the US mutual fund situation, with the advancement of the US institutionalization process,The common people gradually withdraw from the stock market, and public funds or mutual funds have become an important tool for ordinary people to manage their wealth.. US residents mainly allocate assets to markets such as stocks and bonds through funds and other means. 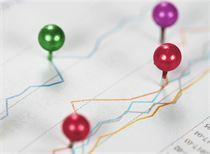 American family investors hold a large number of public funds to deal with issues such as pensions, income receivables, education savings, etc., and most of the US residents have a good profit experience in investing in public funds. Currently all public funds in the United States,11% are held by US institutions and 89% are held by family investors. The proportion of individual investors is so high because large-scale pensions are an important source of funding for US mutual funds. According to data disclosed by the Association of Investment Companies (ICI), as of the end of 2017, the US DC program and the IRA program collectively held $8.8 trillion in mutual funds, accounting for 47% of the total size of all mutual funds in the United States. many. In this regard, the Galaxy Securities Fund Research Center indicated thatAs a tool for inclusive finance, China’s public fund needs a reform to attract more and more incremental funds from ordinary people.. On the one hand, in conjunction with the deferred tax policy of individual commercial pensions, attract ordinary people.Cash flowInto the long-term holding, on the basis of long-term holding funds, to provide more long-term funds for the real economy and optimize the wealth management of the people; on the other hand, to promote how to attract long-term funds of ordinary peopleFund salesInstitutional level reform. 10 years is the most fierce! The trillion fund is 10 points in one breath. Buy these stocks madly. New stockholders running into the field will become the "new leek" harvested? In April, the agency's latest survey of 125 stocks was listed on the top three industries! Tianqi Lithium Industry becomes "Ruiyuan Concept Shares"
This year, A-shares earn 100,000 per capita, and 252 shares surpass 5178 points! Are you averaged? Heavy! The Internet Infrastructure Unit mentioned the first strategic height! Extraordinary bad: We are using technology to strictly control off-exchange funds! Monday: With the policy game, the trend is even more bizarre! Will the market be strong tomorrow? The regulatory layer obviously does not want the market to rise too fast.